Nationwide, home prices grew 4 percent year over year and 0.7 percent month to month in February, according to the latest data. Even though growth is slower than it was during the same period last year, expect prices to increase soon, said Dr. Frank Nothaft, CoreLogic’s chief economist. CoreLogic also predicts home prices will grow 4.7 percent by February 2020 — driven, in part, by more people taking advantage of low mortgage rates and a rush of activity this spring. Some states have seen stark growth in home values. In Idaho and Nevada, home prices rose by 10.2 percent and 8.9 percent, respectively. North Dakota was the only state to see home values go down. The average home in the state now costs 1.7 percent less than it did a year ago. 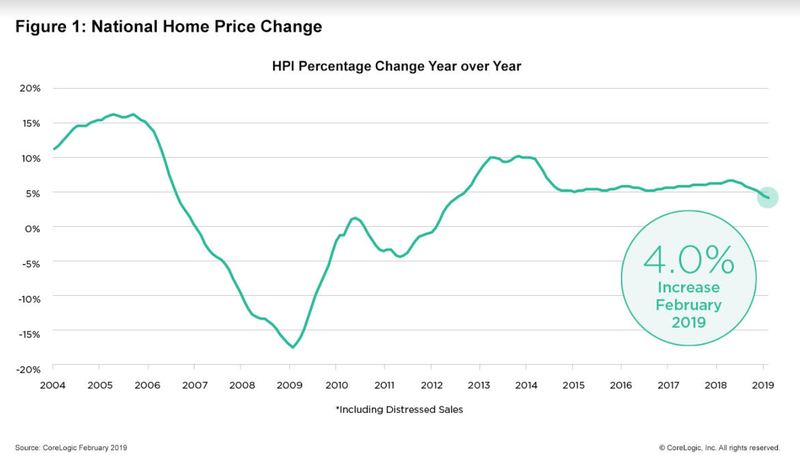 As a result, sluggish growth will go unnoticed by homebuyers who are struggling to afford homes as incomes fail to keep up with home prices for average families. 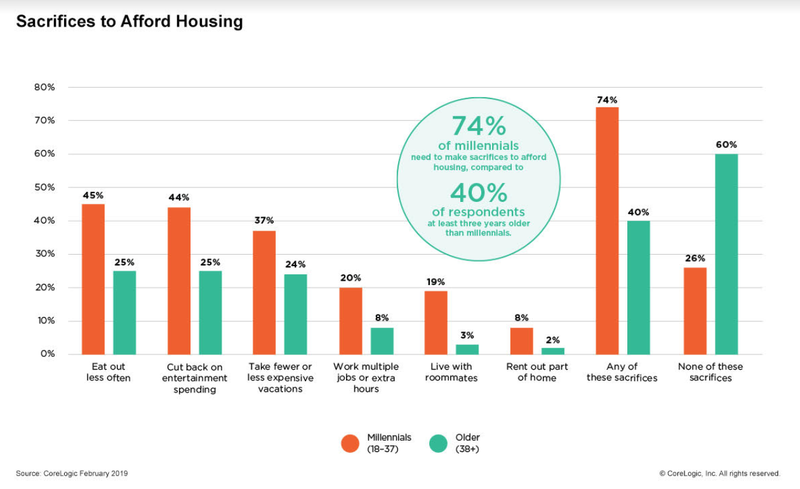 Based on CoreLogic’s survey of generational differences, millennials and first-time homebuyers fare badly when it comes to housing. Unlike older adults, nearly three quarters of millennials cut back on vacations, eating out and entertainment to afford housing.